While Thomas Edison’s invention of the light bulb was a great achievement in history, modern creations and innovations in lighting design has resulted in more effective, more efficient and very economical lighting elements and components that far outshines Edison's crude tungsten bulb. Interior lighting design is one of the lucrative and widespread industries that possess unlimited potentials for further transformation, future growth and creative solutions to interior design schemes. Those with intentions to pursue a lighting design course are mostly creative arts students, interior designers or architects who wish to branch off into a specialised field in the study of creative arts and design. A course in lighting design is also and for those who want to achieve a career as a lighting designer, or have a need to enhance their present lighting design career. The lighting design course is not really a "hobby course" like interior decoration, as many may start out to believe. It is a very technical and specialised course that combines some electrical engineering with design abilities or skills. 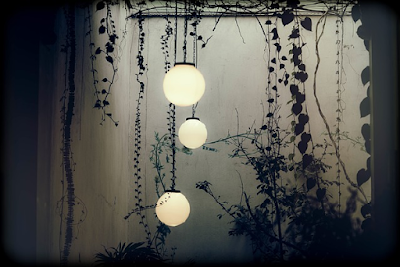 There are many schools online that offer lighting classes and train students explicitly for interior lighting design. Studying to become lighting designers isn't just something of necessity. Lighting design is a part of the overall design concepts that plays essential roles in the human ability to understand our living environment and the habitat that we occupy. 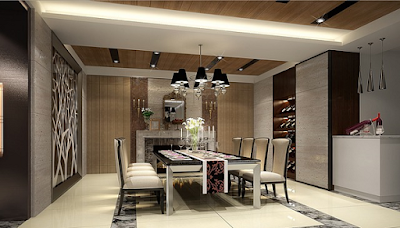 It is an undisputed fact that quality of interior lighting can affect safety and well-being. Light impacts our moods and influences the way we feel and behave within our enclosed spaces. Studying lighting design will teach students how to identify the best use and effects of lighting and recreate it in a positive and creative way, so that effective lighting design schemes can be successfully implemented for any residential or commercial design clientele. A lighting designer must envision the lighting scheme, and must design it during the initial phases of a building's design. This is to ensure that wiring works are implemented during the building process, before interior decoration works commence. This is the role and the challenge of the lighting designer. Lighting design is a challenging but exciting field in interior and exterior design, and for those who love diversity and the opportunity to be creative, this course is for them. To be good lighting designers is to be great problem solvers. A lighting designer must know the most effective way to use lighting, determine where light is required in a space or area, and then design it with an economic but aesthetically pleasing and creative flair. When interior lighting is conceptualised and skilfully designed, it can visually make an area or space appear larger or smaller, depending on what the lighting designer hopes to achieve. Lighting design can also be used to highlight decorative décor pieces or interior details, and if sited effectively in areas of importance, it can be made to draw the eye away from unwanted spaces. And because different light bulbs can affect the way colour appears, the lighting fittings chosen will determine how light is diffused in a room. And whether the desired result is a soft glow or a glare, an effective lighting design can be made to create or simulate a variety of moods, feelings and interesting interior atmospheres. Why Should I Choose Home Study? There are many support tools in place to encourage you as a home study student, and our Home Study students consistently produce a high…. There are many support tools in place to encourage you as a home study student, and our Home Study students consistently produce a high standard of work. The course materials are all extremely clear and easy to understand, and the feedback you receive from your tutor is invaluable in helping you achieve your goals. By the time you have completed this course, you will have built up a portfolio of work and business tools to help you get started in the industry, which will also act as a clear testament to your ability and your professionalism.